The Bussey Building, saved from demolition by Peckham residents and now protected as an arts centre, is a genuine community space in which local company Shakespeare Peckham seem right at home. Like its 2013 production of Othello before it, this Hamlet is an inviting and accessible staging of the play. It’s also a show of thirds, with three actors taking it in turns to play the Dane. Sharon Singh opens as an intelligent, brittle Hamlet; Max Calandrew, who follows her, is energetic and nuanced; while Izabella Urbanowicz’s wild-eyed final Hamlet is hypnotic, perhaps the most unforgettable of the evening. The gender-blind casting works well, although pronouns swap confusingly throughout, with the female Hamlets alternately described as ‘he’ and ‘she’. If the ambiguity’s deliberate, gender neutral pronouns might have been a better choice. 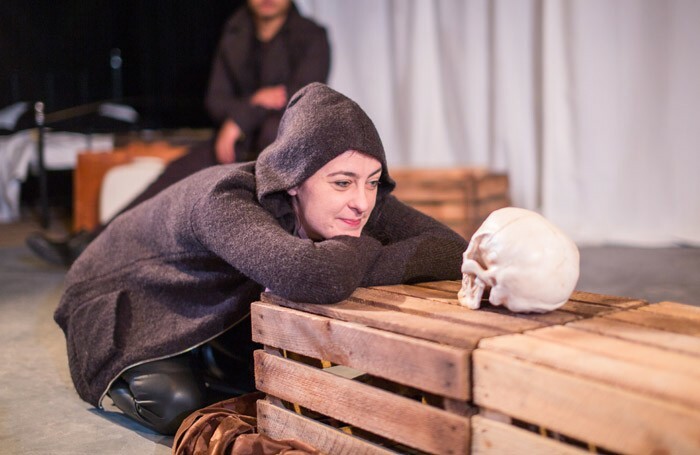 Beyond the three Hamlets, there’s little that’s new or bold in director Anthony Green’s adaptation, and the production’s straightforward unfussiness is part of its charm. But though all three performers are excellent, dividing the part in this way takes some of the power out of its trajectory. Any one of these three young actors could have carried the show as Hamlet, but the piecemeal nature of having three leads hinders the dramatic tension and leaves all of them with a less challenging version of the role than you feel they are capable of tackling.